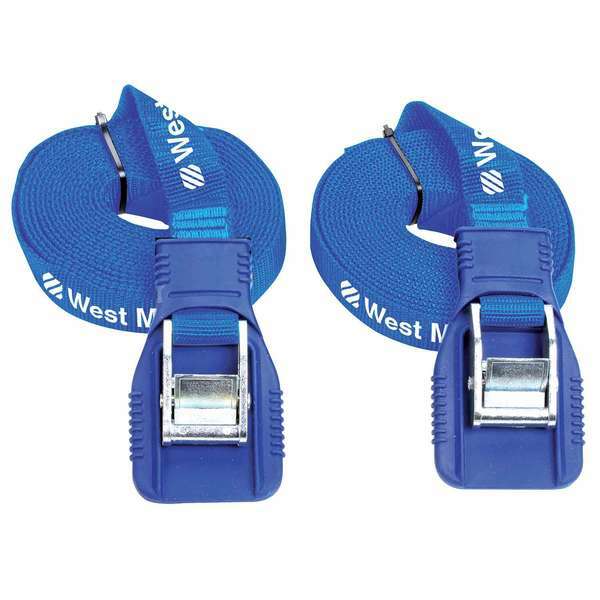 These polypropylene straps with buckles are easier to use than ropes. The 13'L x 1"W polypropylene webbing offers greater surface area to cinch down boats to cartops or lash and compress gear to car or deck. Assembly features 1" steel cam buckle and 2" polypropylene webbing buckle protectors. Sold in pairs.